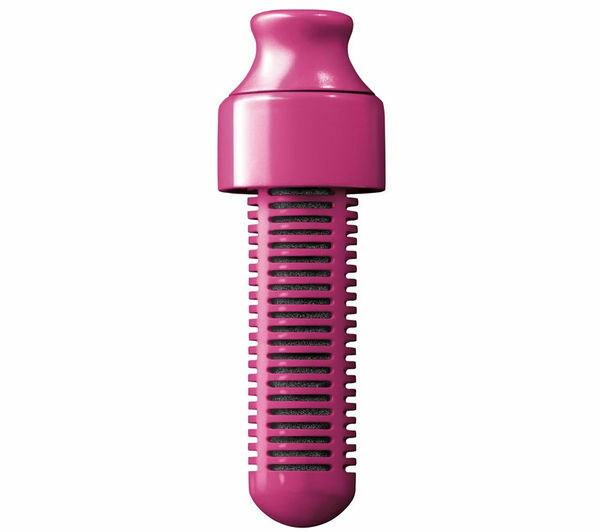 The Bobble Filter is a direct replacement for the filter that comes included with your Bobble Bottle and lets you enjoy cleaner tap water for 300 refills. Made from recycled plastics and far cheaper than buying single use bottles, the carbon filter removes chlorine and impurities from your tap water for healthier, easier everyday drinking. Look after yourself and the environment with the Bobble Filter.